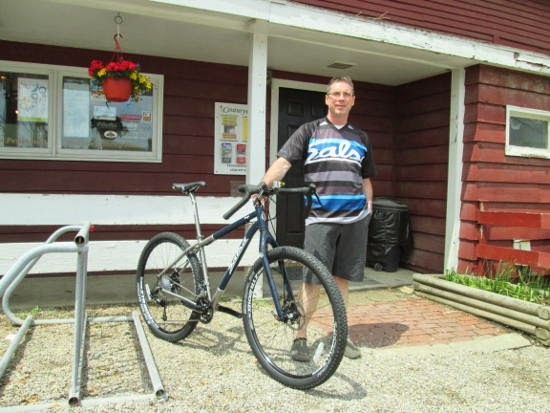 The spring weather that has finally arrived here in Northeast Ohio has been a boon for cyclists, and especially for long-distance touring cyclists, who have no choice but to continue on whatever the weather. 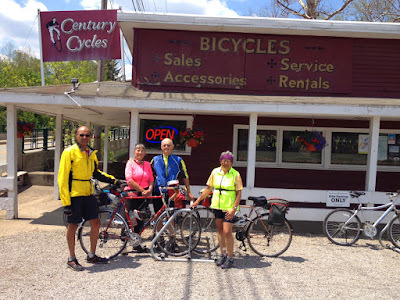 This couple visiting our Peninsula store yesterday while riding north on the Underground Railroad Bicycle Route. 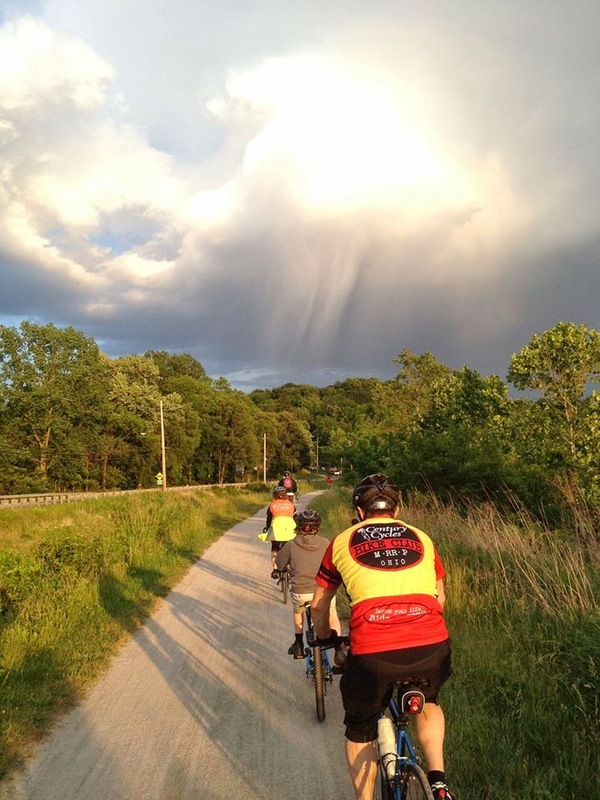 Once they reach the end of the route in Canada, they'll continue riding back to their home of Muskegon, Michigan. 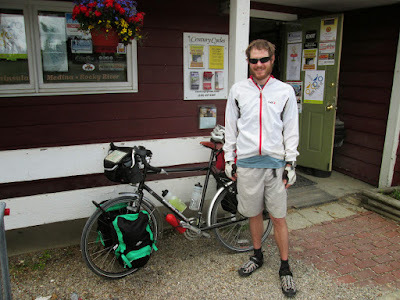 Most of the the bike touring riders we see are on the Underground Railroad Bicycle Route. Both our Peninsula and Medina stores are located on the route. 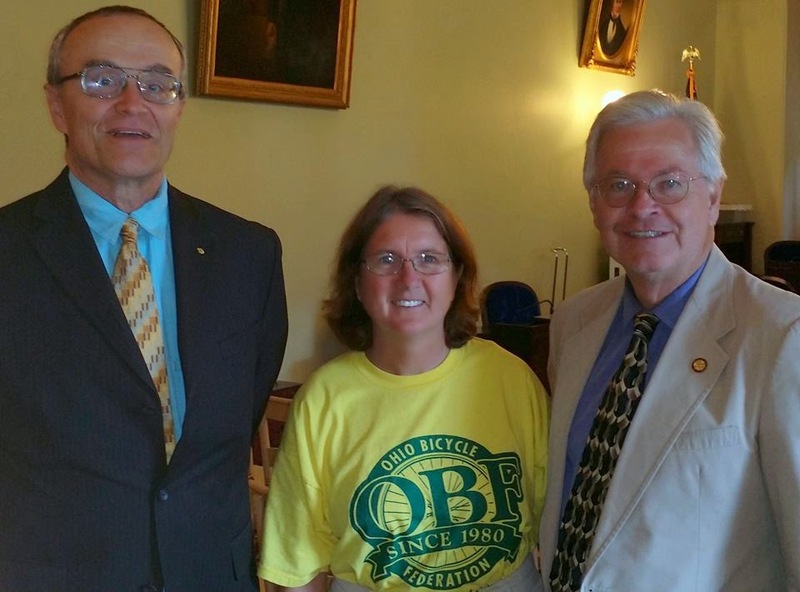 This route was established in 2006 by the Adventure Cycling Association to highlight the historical significance of the many places between the Gulf coast and Lake Erie that helped enable escaped 19-century slaves to reach the safety of the North. You can read more about the route here, as well as order maps so you can follow the route yourself! Our Rocky River store is located on another of Adventure Cycling's popular cross-country bike routes, the Northern Tier Route. Nothing best exemplifies teamwork in bicycling than sharing your draft, the act of supporting a fellow rider by cutting through the wind so they don't have to. By sharing your draft you not only help each other, but you are a much more effective team. Drafting creates value by working together. That value of working together to make riding a bike easier, safer and more accessible (and of course fun!) exemplifies what Bike Cleveland has been doing over the past two years. 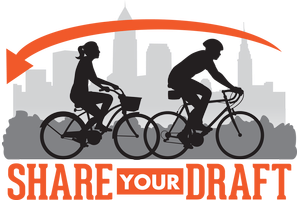 We hope you will work together with Bike Cleveland on our journey by joining us at Share Your Draft. Enjoy a variety of local drafts (the beer kind) and appetizers while learning how you can help Bike Cleveland continue to build our powerful movement for safer streets. In addition to great food, beer and socializing, Share Your Draft will be a time for you to get caught up on the great projects underway to make riding a bicycle safer, more accessible and fun for people of all ages and abilities. 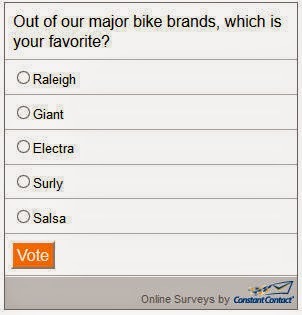 Our latest online poll lets you show us and the world your bike loyalty! 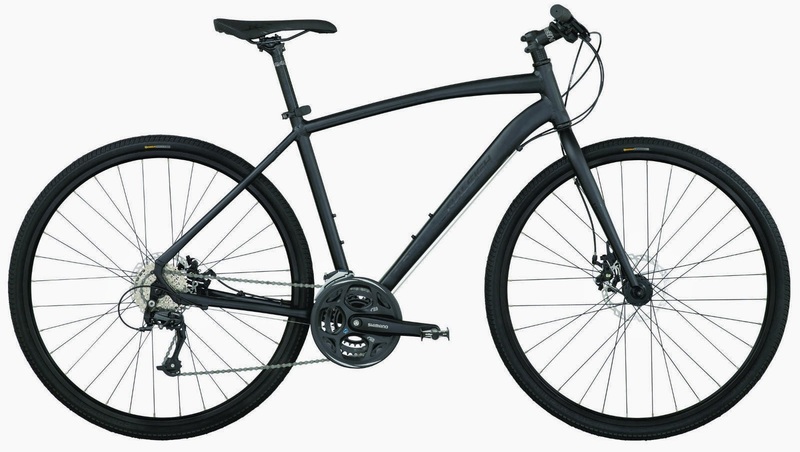 Of the bicycle brands that we carry at Century Cycles, which bike brand is your favorite? Click here to take our online poll let us know! The five of them are riding together on the Adventure Cycling Association's Underground Railroad Bicycle Route, north to Canada. They stopped by the Peninsula store on Sunday, May 18, 2014. They weren't very forthcoming with information, but from what we could gather, the two couples and the single rider didn't know each other before the trip, but came across each other near the beginning at the southern end, and decided to continue together. His name is Trevor, and he's from Massillon. It's the first day of his trip, and he's heading up to Niagara Falls, with stops to visit family in Erie, Pennsylvania and Rochester, New York on the way. 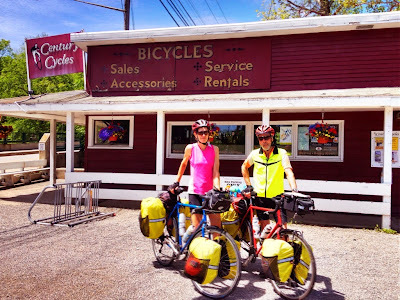 You can see more photos of long-distance cyclists who have stopped in all three of our stores in our Bicycle Touring Photo Gallery. 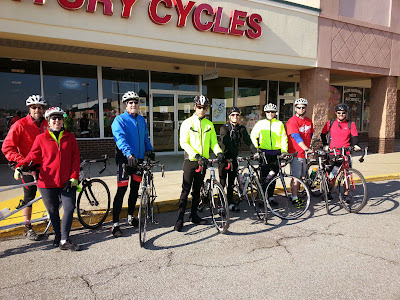 The ride leader Cathy from our Medina store reports that eight people came for their latest Sunday Services Group Road Bike Ride on May 18. "It was a brisk, cool morning which heated up quickly, thanks to the sun! We rode at a 16mph pace and everyone kept up. There were times of higher speeds, especially after the rest stop when Ed took off ahead of the pack. That encouraged a couple of guys to chase him down. 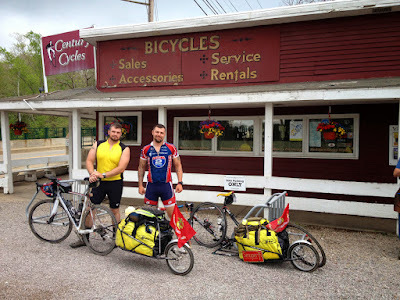 Nick and Dan are customers at the Rocky River shop and came to our ride at Krista's suggestion. They were looking for new places to ride. They enjoyed being able to ride without having cars constantly passing them. The only place we came across many cars was on Speith Road on our return trip to the shop. There was good conversation among the group as we rode the 20 miles. Only one issue; someone dropped their chain, but Ed was able to put the chain back on. A good ride was had by all!" It rained, then it stopped, then it rained, then it stopped again, then it rained some more! But it finally stopped raining for good late in the afternoon this past Saturday, and about 25 people showed up for our Night Ride on the Towpath Trail. 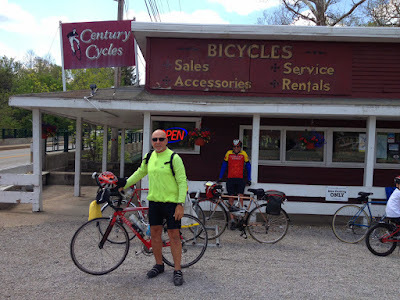 We rode up to the Station Road Bridge in Brecksville and back, for an enjoyable and warmer-than-expected ride. 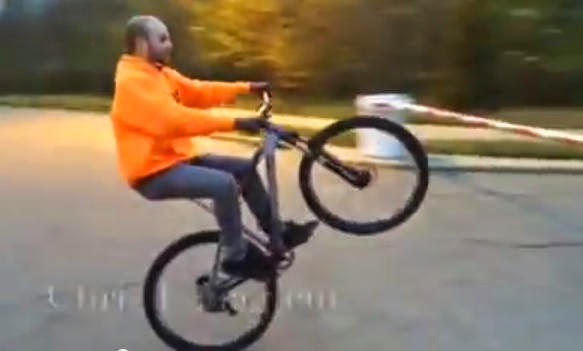 Chris Lenaghan of the Century Cycles store in Medina shows off his mad wheelie-riding skills! Video by Chris Walters, also of the Medina store. Click here if the video above is not appearing for you. 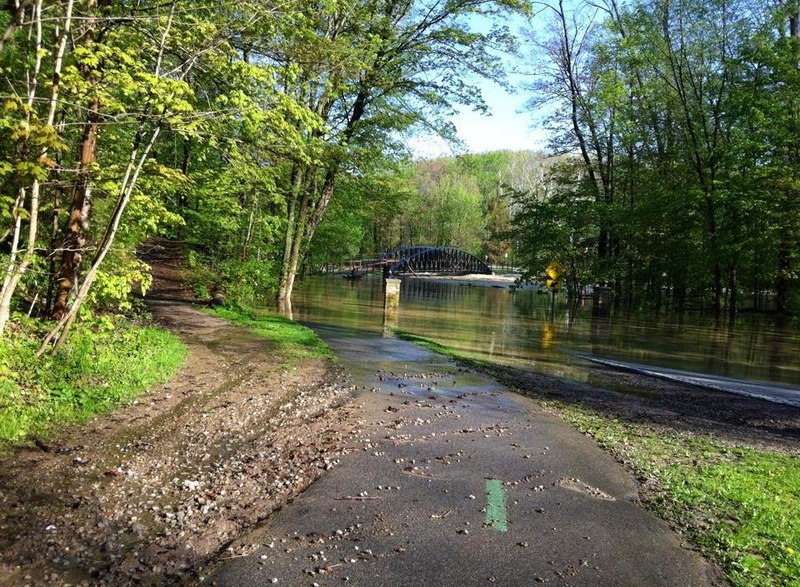 We have just received word from the National Park Service that they have had the opportunity to further assess the recent flood damage to the Ohio & Erie Canal Towpath Trail. As of this writing, the trail is OPEN between Boston Store Visitor Center and Lock 39 in Independence. However, they plan to open the section between Boston Store and Lock 29 in Peninsula by this evening (Friday May 16). 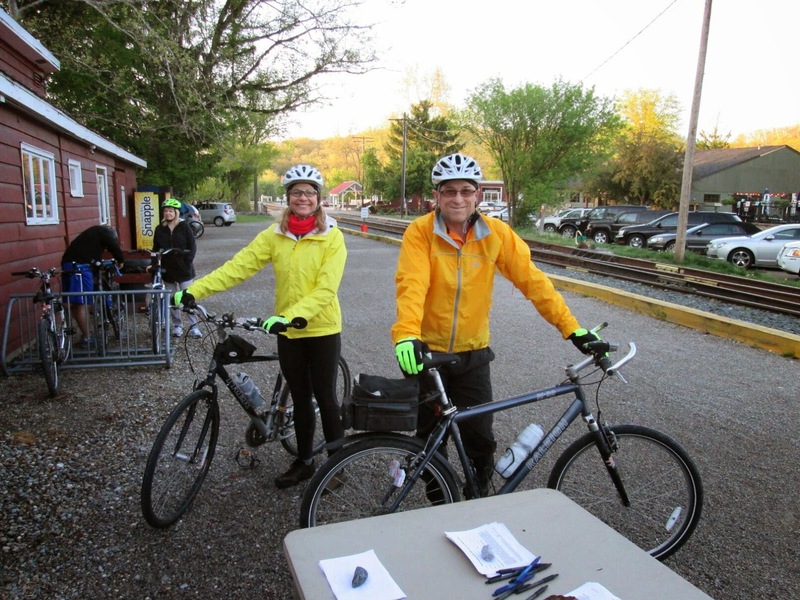 So, our Night Ride on the Towpath Trail on Saturday, May 17 will proceed as planned! The forecast is calling for showers and near-record low temperatures, so be sure to dress for the weather! This normally takes place at Howe Meadow on Riverview Road, but has been re-located to Old Trail School at 2315 Ira Road. 24th Annual River Day - Volunteer to clear trash, plant native species, remove invasive species, and learn history and natural science. Canoe, kayak, bike, hike, view wildlife or simply enjoy the view – come help us celebrate and protect our Cuyahoga Valley! See the Friends of the Crooked River web site for more details. The National Park Service invites the public to the Grand Opening of Canal Exploration Center, in Cuyahoga Valley National Park (CVNP), 10:00am - 4:00pm. Located at the corner of Canal Road and Hillside Road in Valley View, and formerly known as the Canal Visitor Center, the center has been closed since May of 2013 for extensive renovation and expansion. This historic building now features in-depth, interactive exhibits that allow children and adults to navigate a canal boat through a lock, explore the nation’s canal system, or eavesdrop on Canal Chat conversations. The Cuyahoga Valley National Park has re-opened the Ohio & Erie Canal Towpath Trail between Station Road in Brecksville north to Lock 39 in Independence. They expect to re-open the section between Lock 29 in Peninsula and Brecksville late in the day on Friday, May 16. 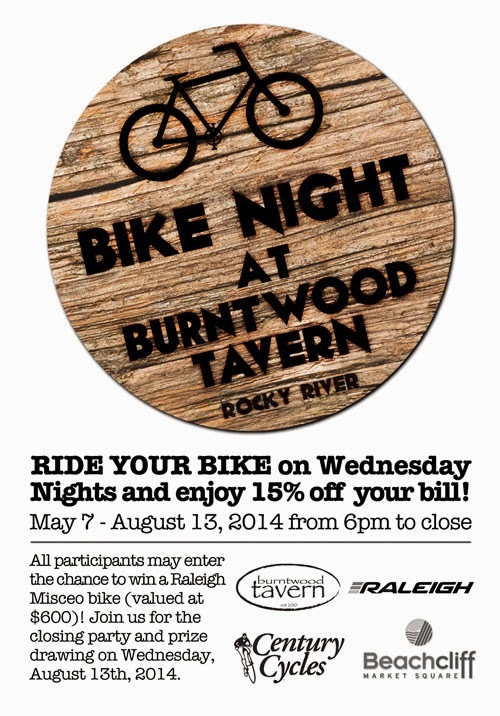 So, our next Night Ride on the Towpath Trail this Saturday, May, 17 should be able to go on as planned. Stay tuned in case anything changes, and check the National Park's Alerts Page for the most up-to-date information on trail closures. The Century Cycles Bike To School Challenge is in the middle of its second week at Bay Middle School, Rocky River Middle School, and A.I. Root and Claggett Middle Schools in Medina. 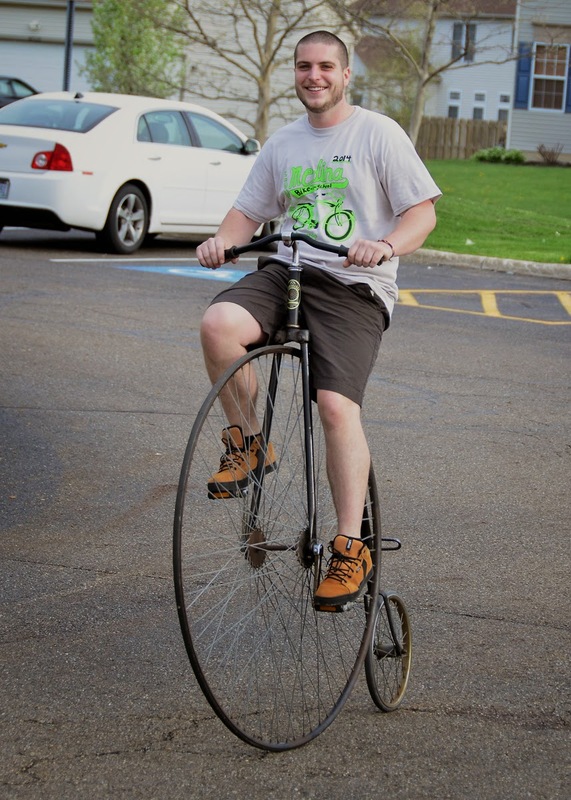 The Bay and Rocky River challenges will continue through Friday, May 23, while the Medina Bike To School Challenge concludes tomorrow at Root and Claggett. A one-week challenge kicks off next week at Bay High School and Westerly Elementary in Bay Village. Several other Northeast Ohio schools have caught the Bike To School fever! Although not officially part of the Century Cycles Bike To School Challenge, Blake Elementary School in Medina has held their own Bike To School program since 2013, running for the same two-week period. 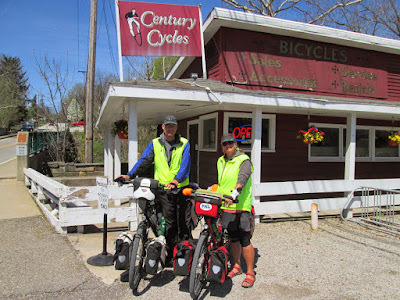 Petch and Chris from the Century Cycles store in Medina stopped by to lend their support, including a demonstration of riding the signature Century Cycles high-wheeler bike! In conjunction with National Bike To Work Day on Friday, May 16, the St. Ignatius High School Cycling Club is sponsoring a Bike To School Day. 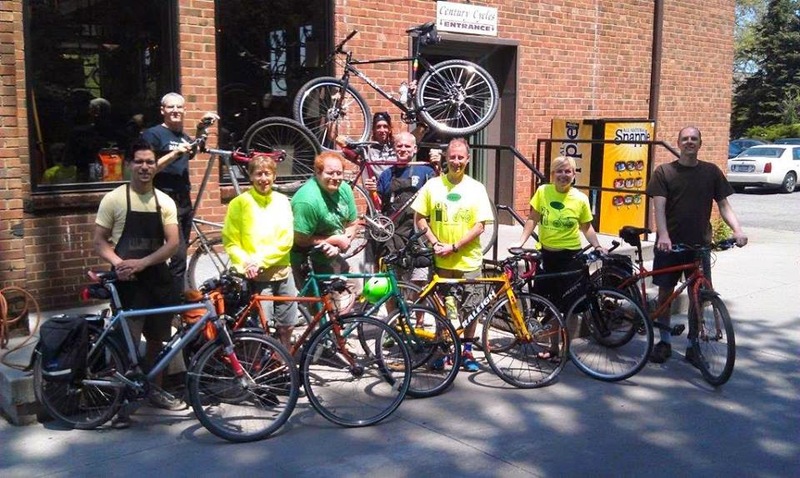 Group rides will be led by faculty or students from various points around the city. Last week, on National Bike To School Day (May 7), the Cleveland Heights Bicycle Coalition and the Cleveland Heights Police Department delivered 75 bicycle helmets for distribution to students at Roxbury Elementary School. And finally, students at Gilles-Sweet Elementary in Fairview Park have been planning a bicycle parade, which has been re-scheduled twice due to bad weather. But they went ahead with their bike safety assembly on May 7, where 6 bicycles were raffled off to students. Read more from the Sun News. As the photo above shows, the entrance to the Ohio & Erie Canal Towpath Trail in Peninsula is underwater. 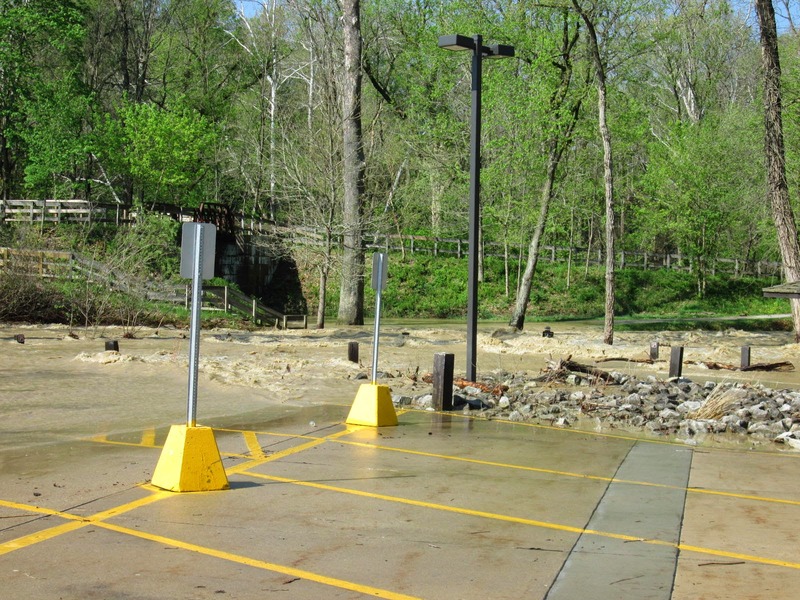 Due to this and other flooding issues throughout the area, the National Park Service has CLOSED the Towpath within the Cuyahoga Valley National Park. Our bike rentals for the Towpath Trail in Peninsula will be unavailable until further notice. Take me out to the ball game! 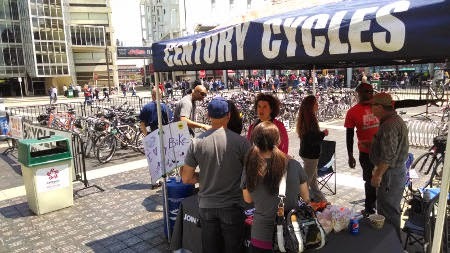 In partnership with Bike Cleveland and the Cleveland Indians, Century Cycles brings you the First Annual Bike to the Ballpark! 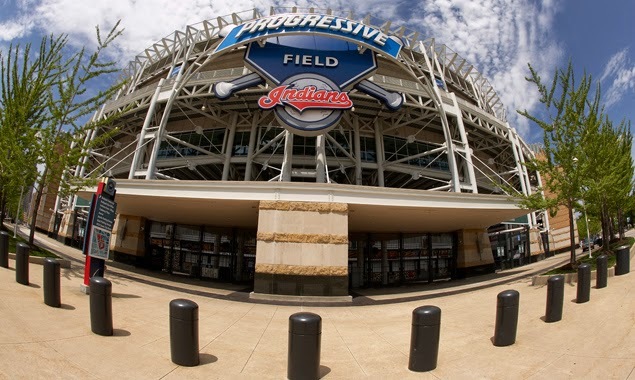 Ride your bike to Progressive Field to watch the Tribe take on the visiting Oakland Athletics. The game begins at 1:05pm; the gates open at 11:30am. 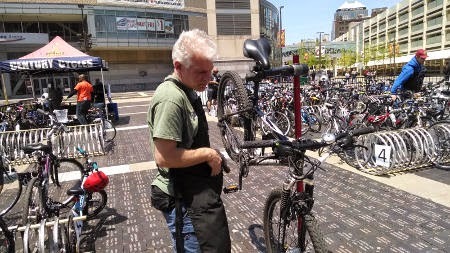 The first 200 to arrive by bike are guaranteed free secure bike valet parking, plus a free bike safety inspection! $20 option - for lower reserved seats, plus you get $5 loaded value for use at concessions and a Cleveland Indians Drawstring bag. Get tickets at ClevelandIndians.com. 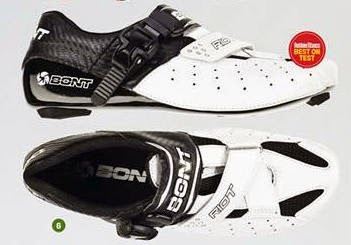 Use promo code BICYCLE. $40 option - lower reserved seats plus pre-game picnic, $7 loaded value for use at concessions and a drawstring bag. Get tickets by contacting Ashley Madison at 216-420-4181 or at amadison@indians.com.